Coming up in May, the Jerusalem Press Club will host a Freedom of the Press conference in Jerusalem, with a focus on Press Freedom issues in the digital era. The club hosted its first Conference on the Freedom of the Press in 2015, attracting scores of journalists, government officials and press freedom fighters, and generating a lot of media attention. 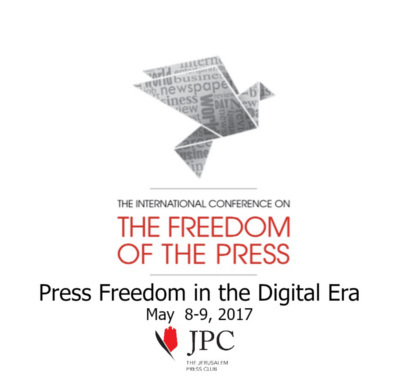 Emboldened by this success, and by the encouragement of both the IAPC and the Federation of European Press Clubs, JPC is holding the Second International Conference on the Freedom of the Press, in Jerusalem, on May 8-9, 2017. 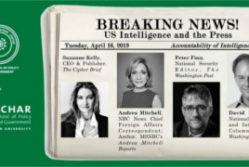 Deidre Depke, president of the OPC, will speak on a panel about innovation and press freedom. 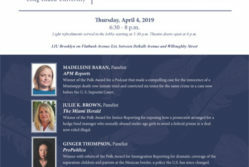 Lynn Walsh, president of the Society of Professional Journalists (SPJ), Rob Mahoney of the Committee to Protect Journalists, and speakers from Reporters Without Borders and the International Press Institute have confirmed their attendance. Carl Bernstein, Washington Post, partner of Bob Woodward in breaking the Watergate story, will be the keynote speaker. Please consider attending, and invite your communities of journalists and press freedom activist to attend as well. While the JPC can’t offer airfare, the club will offer hotel rooms in Jerusalem at a significant discount. Contact: JPCPressFreedom@gmail.com for more information.